WHAT IS BONE DENSITY, WHY IS IT IMPORTANT, HOW CAN HERBS HELP? Our bones are the hardest part of the body, we don’t value until we don’t get any problem related to the bones, strong bones not only provide strength also gives better posture and appearance, make us look more confident and youthful along with the sufficient balance and movement, moreover bones protect our all the internal organs from any kind of injury, support our muscles, helps with sports and various social activities such as dancing, playing, jumping, running, climbing and all the physical activities which are necessary to carry on life and add some fun as well. Most importantly bones provide mineral supply whenever needed, to operate other essential functions of the body. During the childhood age our bones grow with a fast rate and become heavy, large and dense, as we get older, balance of mineral removal and deposition disrupt, and our bones become more prone to easy fractures and breakage specially after crossing the age of 30, chances of bone loss increases then gain and the balance of bone building shifts drastically. Osteoporosis is the condition in which the bones become fragile and start breaking easily and frequently and there are almost no symptoms at the early stage of osteoporosis, some people don’t even realise that they have osteoporosis even after a long period of time, easy fracture of the wrist, hip and spine is one of the signs of Osteoporosis. Anyone can get Osteoporosis but the women are more susceptible because their bone structure is lighter in terms of tissues and other cells compared to a man and after menopause their hormonal balance gets disturbed that regulate bone strength. Bone loss percentage in woman is greater than man each year and may cause more risk of developing Osteoporosis (thin and weak bones) as they become old. 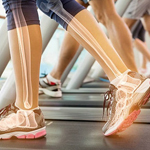 Bone is made up of collagen that imparts soft shape and known as a growing tissue of the body, an important mineral called calcium phosphate provides the hardness and strength to the framework. Calcium and collagen both provide enough strength to the bones to bear any physical stress. Sometimes low bone mass is also known as Osteopenia but it is not low enough to be designated under osteoporosis, that may be due to certain medicines, family history and any congenital disorder and such people are at greater risk of developing Osteoporosis. Bone mineral density is the amount of mineral per volume in the bones; it is an indirect measurement of the fracture risk and osteoporosis, measured by the densitometry method called Bone densitometry, also called dual-energy x-ray absorptiometry (DEXA) often conduct in nuclear medicine departments of clinics and hospitals. It’s a non-invasive and painless procedure involves radiation exposure. BMD test is the most important clinical test to measure the bone strength and to compare the bone mass or density of a healthy person of the same age group and gender. By using BMD we can easily find out some of the useful outcomes such as risk of broken bones or fractures; can identify that weather someone is suffering from osteoporosis, and it also helps in treatment success. BMD is an important tool to predict any risk of bone fracture in the coming future. Why bone density is important? Bone density determines the severity of osteoporosis and how fragile our bones becoming with the passing time. It provides the correct evaluation and the accuracy of bone status. A physician may recommend a bone density test in case of broken bones, receiving any transplant, certain medications or hormonal imbalance. •	Bone density measurement helps in identifying the bone strength. •	It helps in identifying any risk of bone fractures. •	Help in the diagnosis of osteoporosis and its treatment outcomes. From the outcome of bone density test a physician can recommend a proper guideline to maintain bone strength such as, medication, exercise or the supplementations to recover the lost bones. Who needs Bone Density Test? 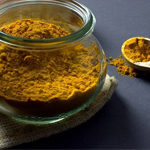 How can herbs help in weak bones? We are in such an era where low physical activity, highly processed food, refined sugar, and adulterated edibles are the part of the daily life, all these are shorting our lifespan and weakening our health as well as skeletal system, to fill this gap we need some natural extra supplementation which can provide basic nutrients and nourish our body internally. Herbs contain many useful nutrients, high concentration of phyto-nutrients and antioxidants in that way offer long term benefits to our overall health along with stronger bones. Using natural ingredients to restore bone health is an alternate approach to avoid long term negative effects of the western medication system. 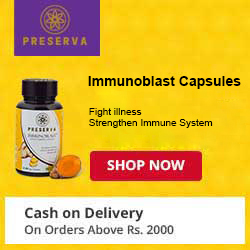 Natural herbs, for the minor and the major illness have been widely utilized in India and China; certain medicinal herbs contain brilliant health benefits right from regulating hormonal balance to the healing process, the former is more important for the women to prevent osteoporosis associated with menopause. Rate of fractures, osteoarthritis and osteoporosis is rising with a fast pace and bone related disorders becoming a worldwide challenge. Herbs have immense potential to overcome bone health related challenges. Ayurveda has already gotten the overwhelming success to prevent and cure bone disorders by simply using various potent herbs and providing a well balanced herbal formulawithout any harmful risk and the side effects. Herbs not only provide strength, but also prevent bone loss and encourage bone growth even herbs offer an ample amount of minerals, micronutrients and vitamins along with powerful anti-oxidants which are needed to restore the optimum health of bones.